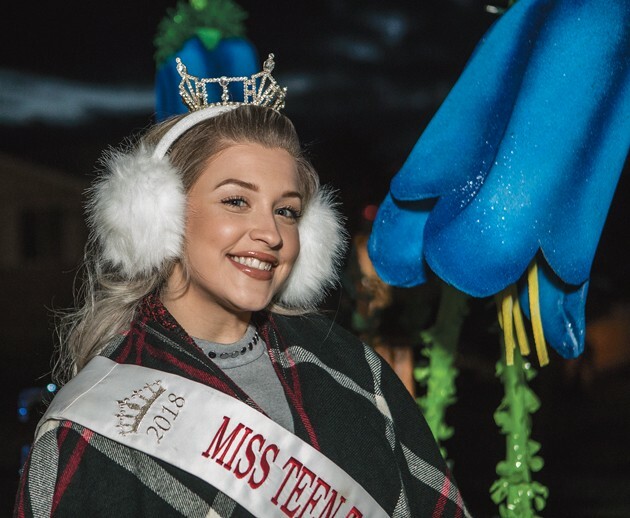 Miss Tooele County Teen Kendall Redling is bundled up and ready to ride on the Miss Tooele County float. Members of the Shellie’s Dance wave from on top of their lighted float. 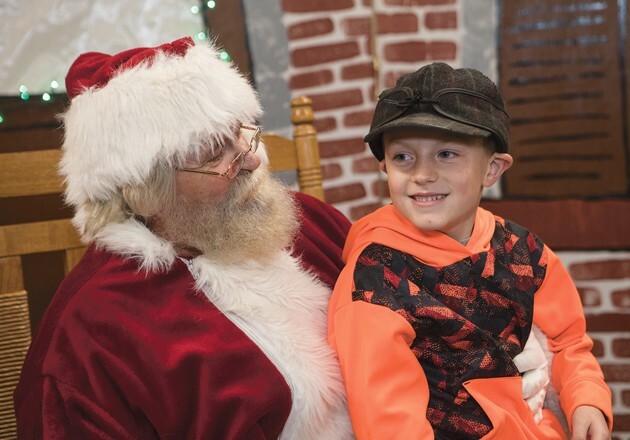 Kwade Anderson gives Santa his Christmas list. 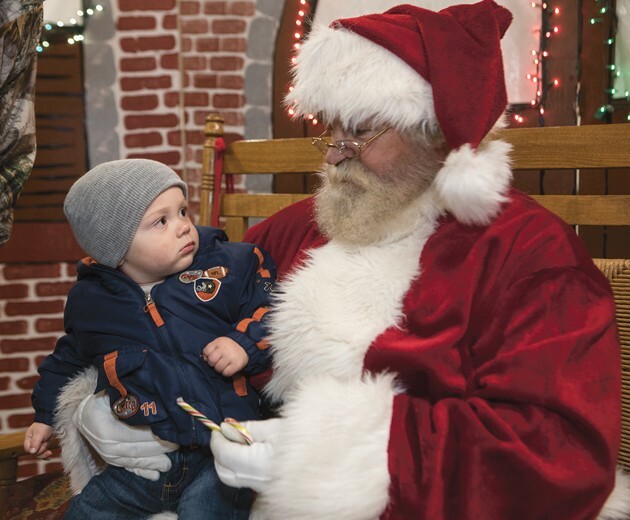 Hazen Harrell takes a long look at Santa before deciding on going back to dad in a hurry. 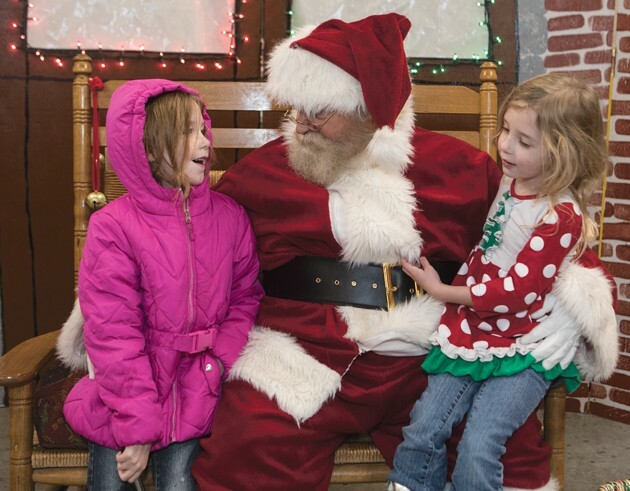 Kendellyn and Kinsley Betham give Santa their Christmas list. 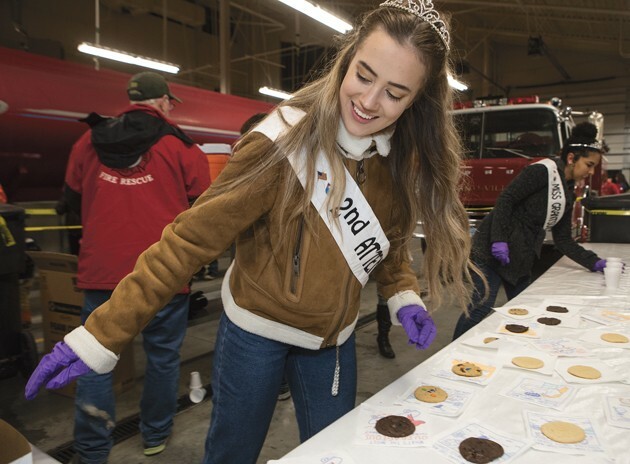 The community came together Saturday night to welcome Santa Claus and the holiday season at Grantsville’s Christmas Light Parade. Now in its seventh year, the light parade was founded in 2012. 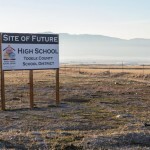 The Christmas Light Parade and Santa Parade, another long-running Grantsville tradition, were combined the following year. 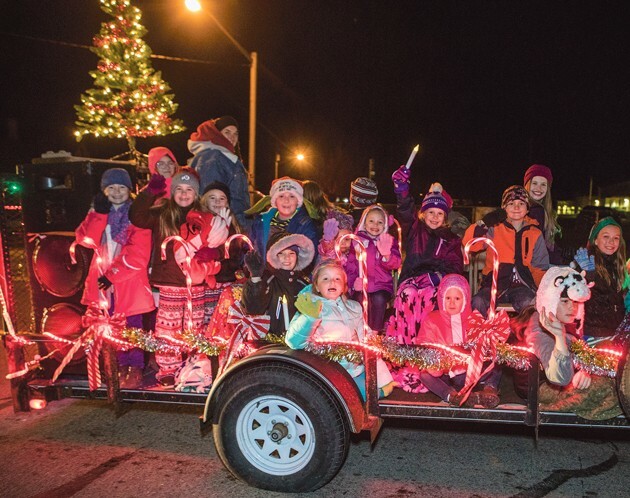 Citizens participate in the parade by decorating vehicles, trailers or floats with Christmas lights and other festive decorations. The parade begins at City Hall and travels west down Main Street, ending at the Grantsville Fire Station. At the end of the parade, Santa was there to visit with the community’s children and treats were served.